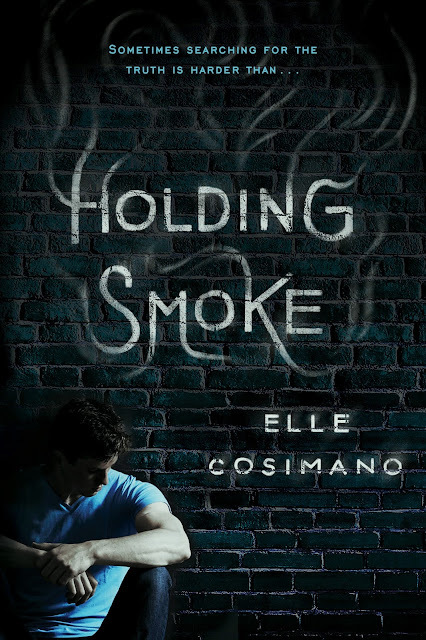 Elle Cosimano grew up in a suburb outside of Washington, DC with two very normal parents and an occasionally adorable little brother who ate her pet caterpillars and pillaged her Barbie Dream House. He got the super-high metabolism, great cheek-bones and long lashes. So unfair. Elle got the gift of vivid imagination. The ability to see something so clearly in her mind that it tends to become a reality. Some people call it goal-orientation, but she prefers to think of it as highly productive day-dreaming. Wow! I like the sound of this one! Travelling outside his body to gather information! Ooh nice! Loved Elle's other books so definitely can't wait to read this one! Thanks for stopping by as well. Mysterious indeed! Oh wow I haven't heard of this one. I love the cover, and the description sounds amazing! Adding it to my TBR right now. Awesome pick! Wow...can't say I have seen a book like that before. Sounds great and thanks for sharing it. I will add it to my wishlist. Oh my. This looks interesting, Shane! Thanks for sharing. No problem :) Thanks for coming by! This sounds really good! And I like that cover. Thank you for sharing this with us Shane. Me too! That cover is epic! Thanks for stopping by my WoW. This looks really good. I've added it to my TBR list. Thank you for sharing! Love the sound of this one! Great cover too! I agree! Seems really exciting! I haven't seen this one before and I love the synopsis and the cover is beautiful. Great pick! This sounds so great! Something a little different. :-) Thanks for sharing and for stopping by my blog! need, so need. Looks good! Oooh, that does sound good.